Right after pressing Spin for the first time, you will be in for a little scare. That is, the symbols do not go from top to bottom but from left to right. Also, there are so many symbols. Namely, there are six column and six rows, and you wouldn't call them reels. On this game, you will be playing with bacteria and antibiotics. The paytable will remain on the right-hand side of the playing grid during the entirety of the game. There are five different animations and the trick is to make rows of three. Germinator also has an avalanche feature. This means that all symbols part of a winning combination will vanish after you have cashed out. The void these disappearing symbols leave will be replenished from the top of the playing grid. The wins are relatively small but you will also win relatively often. The least-paying animations such as the orange and red animations show up much more than, for example, the green and yellow animations. Seeing as the avalanche feature makes it that one win could lead to multiple wins, wins do add up during regular spins. However, the real bucks are to be made during the bonus game. Germinator is, without a doubt, one of the most unusual slots by Microgaming. For this slot, you probably will want to try it out for free first, as the bonus on this game requires quite some strategy. One could even argue that, in the Germinator bonus game, you get to steer the height of your wins in the right direction. Do note, this game does not have real reels, rows, pay lines, a wild symbol, free spins or a scatter. However, this slot will get you hooked on its wonderful layout. Right after pressing Spin for the first time, you will be in for a little scare. That is, the symbols do not go from top to bottom but from left to right. Also, there are so many symbols. Namely, there are six column and six rows, and you wouldn’t call them reels. On this game, you will be playing with bacteria and antibiotics. The paytable will remain on the right-hand side of the playing grid during the entirety of the game. There are five different animations and the trick is to make rows of three. Germinator also has an avalanche feature. This means that all symbols part of a winning combination will vanish after you have cashed out. The void these disappearing symbols leave will be replenished from the top of the playing grid. The wins are relatively small but you will also win relatively often. The least-paying animations such as the orange and red animations show up much more than, for example, the green and yellow animations. Seeing as the avalanche feature makes it that one win could lead to multiple wins, wins do add up during regular spins. However, the real bucks are to be made during the bonus game. If you want to go for the bigger wins on this game, you will have to go for the bonus game. During this bonus game, you will need three capsules when you have run out of wins. All animations will have come to a halt and there are three capsules: that’s when the game starts and you’re going to need a strategy. Namely, you can make one type of animation disappear. If you choose the blue animation, all blue animations will vanish and the other animations will drop until the entire playing grid has been replenished again. It’s important to know what’s going to happen when you select the color you are thinking of selecting. That is, you should probably select one of the least-paying animations. You should aim for keeping the highest-paying animations, which are -in payout-wise decreasing order- the yellow, green, and blue animations. 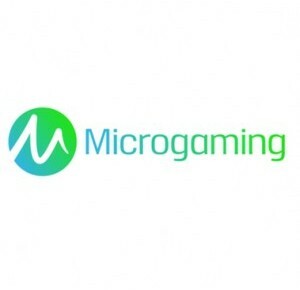 According to Microgaming, Germinator has a total of 12 pay lines. However, technically, that isn’t correct seeing as wins don’t necessarily have to form on the first row. Three or more matching symbols always equal a win. That’s why it’s important to keep track off things as you can also not alter the number of active pay lines. Germinator does not have an autoplay function and that isn’t too bad as regular spins are enticing enough for you to not get bored. Also, Germinator is one of very few online casino games on which it actually helps to use a strategy, making it all the more fun. So, make sure to know what you’re doing during the bonus game as there’s quite some money for you to be made there!